Editor’s Note: This is the first of three articles we will be publishing on solar home storage systems. The articles will explore the challenges and opportunities that they present in different parts of the world. The second article can be found here. 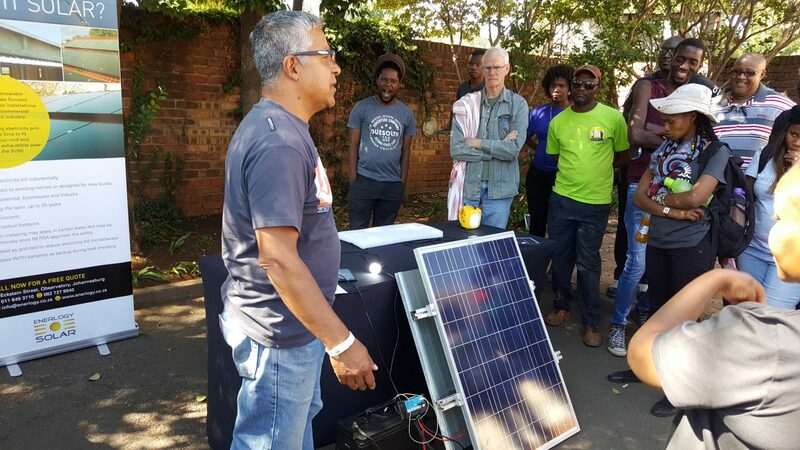 Falling costs of solar technology in recent years across the world mean that installing traditional solar home systems (SHS) has become more accessible in homes across North America, Europe, and Oceania. These SHS are most commonly connected to a national or regional power grid, and are known as ‘on-grid’ SHS. 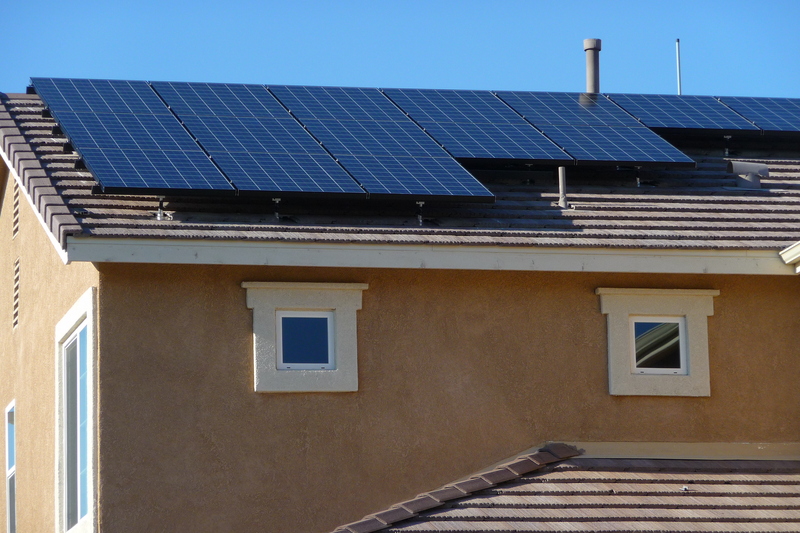 In simple terms, an ‘on-grid’ SHS works as follows: solar panels are installed on any suitable area and material (more often than not a rooftop or wherever they are best able to access sunlight); inverters then convert raw DC power from the panels into AC, which then flows into a meter via cabling to be used by household appliances. Excess power generated by the system is commonly sold by the home owner to the national or a regional grid for profit. In this way, ‘on-grid’ SHS empower home owners to consume their own power, while effectively becoming part-time renewable energy brokers at the same time. On the other hand, when the SHS doesn’t generate enough electricity to power a home, the home owner has to purchase electricity from the grid, usually at a premium rate. There is a viable alternative to grid reliance, and it comes with the capacity for a SHS to not only generate energy, but also to store energy using battery technology. This can be termed a solar home storage system (SHSS). Many industry experts believe that SHSS have the potential to make a real impact and reach scale, and high authorities on energy storage are confident that SHSS will overtake traditional SHS adoption within the next 5 years. Supply and demand issues for energy and power aren’t themes that are solely prevalent in broadly more developed countries and continents. In Africa, Latin-America, and Asia for example, recent research shows electricity demand far outstrips supply. However, the expansion of an electric grid to accommodate for this demand in Africa, Asia and Latin America would take decades; off-grid electrification is both common and necessary. Solar energy is stored in two main types of functional deep-cycle batteries, which are required for SHS: lead acid and lithium-ion. Lead acid batteries are significantly cheaper to install. However, they are less efficient and last for a shorter period of time. This is because users experience not only a loss of current while charging, but also a fast voltage drop which occurs every time the battery discharges (when its capacity is used). The price of lithium-ion batteries are higher, although they last for longer, and deliver more capacity during their lifetime. Both types of batteries present environmental concerns. Lead-acid batteries are a health concern if mis-handled or disposed of incorrectly. Lead is a toxic metal and over-exposure can cause numerous problems including brain damage and kidney failure. The sulphuric acid within a lead-acid battery is also highly corrosive. Given their toxicity and risk profile, it is important they are recycled safely. Although only a very small minority of lead acid batteries are recycled unsafely in developed countries in Europe, North America and Oceania, this is not the case in many developing countries across Asia, Africa and Latin America, and is a real concern. In comparison, lithium-ion batteries are only mildly toxic, and most lithium batteries are 100% recyclable. That being said, reservations are held over ‘hidden’ environmental costs associated with the manufacture of components such as nickel and cobalt which feature in lithium batteries. One example is the practice of mining of nickel, which produces 350,000 tonnes of pollutant sulphur dioxide each year, along-side carcinogenic gases such as benzopyrene. The table below provides a simplistic yet fairly comprehensive view of the characteristics of both types of batteries, in the context of their use in SHSS. Moreover, there are concerns surrounding the current supply trends of both lead and lithium, which indicate that meeting future demand may be an issue. A resource shortage inevitably results in a price-hike, which is being reflected by the increasing price of lithium over the past two years. When comparing the amount of energy these batteries can store, it is best measured in useable capacity, as batteries will never drain of their full capacity to prevent damage. A top of the range lead acid battery can have a useable capacity of 4 Kilowatt-hours (kWh), while a top of the range lithium-ion battery, can have more than 3 times the useable capacity, at approximately 13.5 KWh. In the event of a power cut, this battery could power a typical European home for approximately 36 hours, and a typical US home for most of the day. A battery of this or similar quality can be considered as a component of a ‘high-end’ SHSS system. The real power output (the maximum concurrent output at one given time) of a SHSS ranges significantly according to which battery type you use. A high standard lead acid battery will give you approximately 1.6 kW, while the best lithium-ion battery on the market will give you 5 kW at any given moment. Running a standard TV requires just 0.2 kW, however, appliances such as a dishwashers, ovens, and washing machines all need more than 1 kW each to run at any given moment. What this means in real terms is that for a lead-acid solar battery you would be able to run low power appliances from your battery such as tv’s and charges, and also some higher power appliances such as fridges and dishwashers, but for example, you would not be able to power a kettle without needing to rely on a national or regional grid for help. Lead-acid batteries are suited to lower consumption models, more typical in countries across Africa, Asia, and Latin America in comparison to Europe, North America and large parts of Oceania. In parts 2 and 3 of this series, I will be taking a closer look at the global SHSS market. First up, it will be North America, Europe, and Oceania in focus in part 2, followed by an overview and some analysis of a fascinating SHSS market in Africa, Asia, and Latin America in part 3. Image courtesy of Flickr. Originally published by S&S on August 7, 2018.